It is difficult to wear tight shoes or boots at any time of the day. It makes you feel uncomfortable and difficult to walk. Hence, we offer the best and finest stretching shoes and boots services in Brooklyn, NYC. Most people are not aware about the boot and shoe stretching services and the first aspect that goes in mind is “‘how far you can stretch the leather boots?’. We are team of experienced cobblers who have been offering this service for decades in NYC. We can stretch your boots and shoes to a size or two without damaging it. We take extra care in stretching and ensure it lasts longer without wearing out. We stretch shoes and boots at an affordable price and there is no lapse found in our service and delivery. The goods we promise to serve are shipped after processing at finer level. Many of us may have faced disgusting experience with the leather shoes of becoming tight. There are a few tips on how to make the leather boots bigger at home however, the expert hands offer flawless repair that enclose the people who wear in utter satisfaction. Home-based tips are available to extend the shoe and there may result in failure after a few days. Many customers are not aware of the shoe and boot stretching services and mostly give their footwear to dear ones. However our team of experts is professional cobblers with decades of experience in this industry. We take care and provide the best stretching the boots and shoes services in NYC. 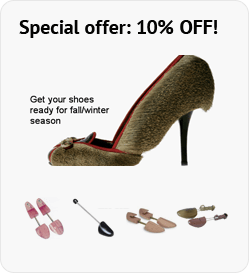 With this service you will never have to miss out on a loved pair of footwear. There are many incidents when you are not able to buy a shoe or boot that you love the most due to incorrect sizes. We are here to help you alter the sizes to fit your foot. Longevity and endurance is assured. Do you stretch new shoe? The exceptional quality leather is used in replacing old ones in damaged products. As far as the service is concerned, the best part of stretching the shoes will be done here and the same can be experienced by the recipients. A better fit is assured after contacting us to stretch the shoes and boots. We never fail to serve the people who come our way as we love to repair shoe and add brighter appearance to the footwear. Any kind of sandals, heels and boots are given a all-new look after the service.